I’m a pushover when it comes to home decor that takes objects found in nature and combines them into cool contemporary designs with an ethnic twist. 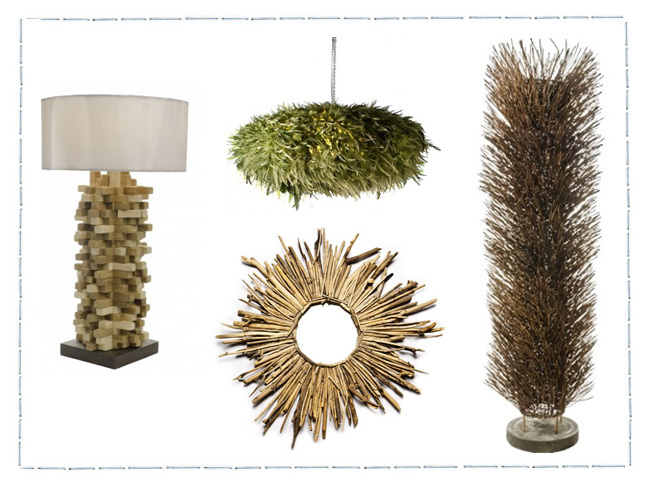 And that's exactly what these cool home decor accent pieces do. In addition to the strong visual appeal of these lighting fixtures, it’s nice to know that many of these products are hand-crafted with a focus on utilizing sustainable materials in their construction. 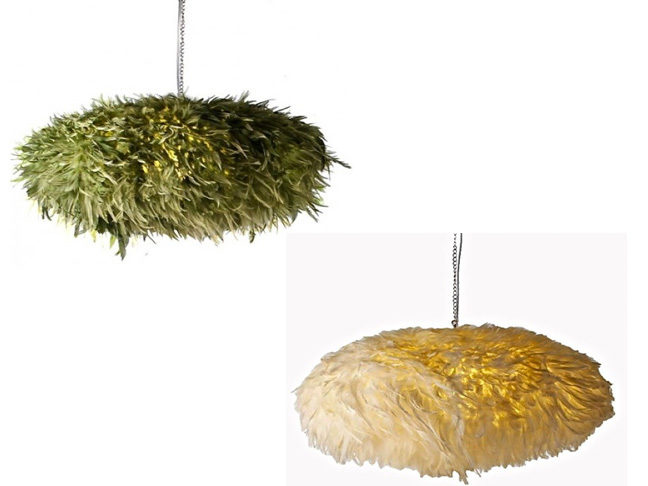 We’ve all heard the saying “birds of a feather flock together” and these Indri Hanging Lamps epitomize that saying in a fun, yet sophisticated way. They're approximately 30” in diameter and would look great over your dining table or tucked away in a corner over your favorite reading chair. 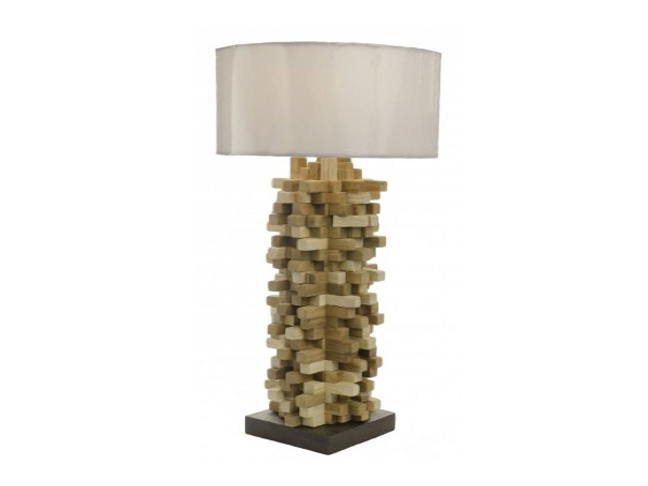 This Spikes Table Lamp is handcrafted from Teak Wood with each piece custom fitted together to form a puzzle-like base. It's beautifully organic looking and will make a great accent piece in almost any setting. 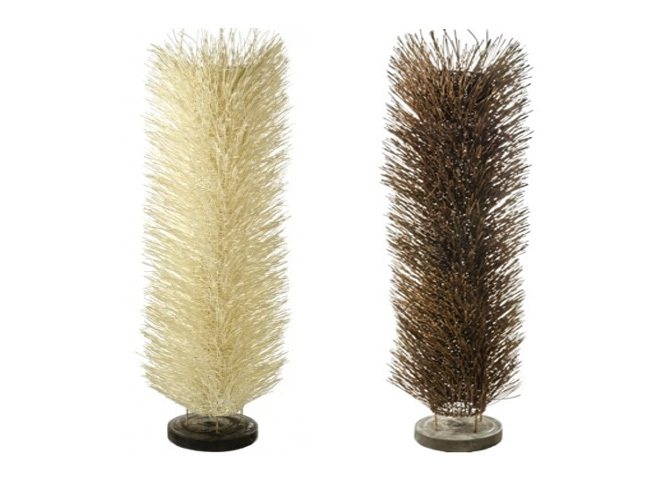 You won’t need to guess where these Urchin Rattan floor lamps got their name. They stand 71” high and are 22” in diameter and are constructed with Rattan Spikes mounted on a framework and supported by a Mango Wood Base. Each lamp uses 3 light bulbs and will create a dramatic conversation piece for almost any room in your home and they're available in two different color tones. 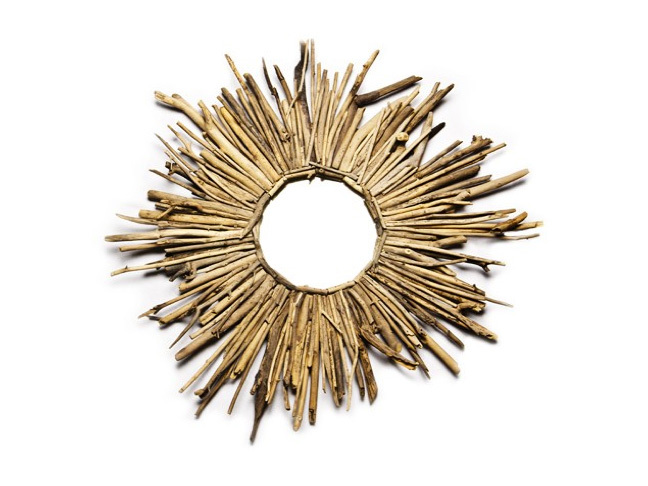 Mother Nature would have given a nod to this Spikey Driftwood Mirror, that’s a more organic version of the more traditional Starburst Mirror that many of us are familiar with. It’s constructed of natural driftwood that’s hand collected from the shores of Bali and each mirror is unique and one of a kind.